Planting trees along your driveway can be a long-term investment. An allee, or tree alley, is usually a planting of medium to large deciduous trees evenly spaced along a walk or drive. There are a few things to consider before planning for your driveway allee. Distance. 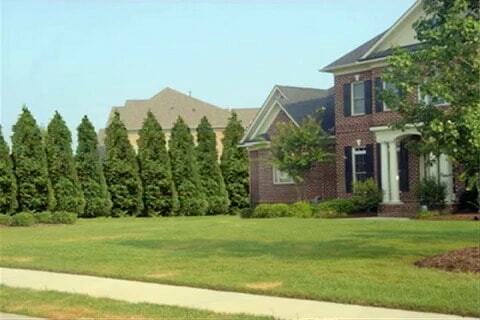 Do you have enough space for 5 or more trees? Plan to space your trees evenly apart and with enough room to grow without crowding the other trees. 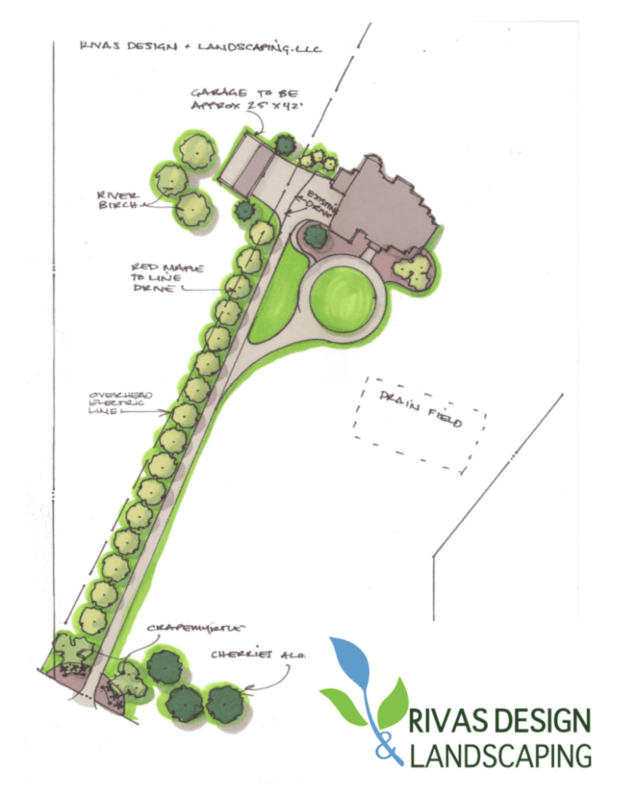 For example, if a tree is destined to be around 20′ wide, plan to plant the trees 20′ apart. Height. When using medium sized trees (like pears, cherries, crape myrtle, e.g.) it is usually not necessary to consider the overhead utilities. However, larger shade trees (like maples and oaks, e.g) may interfere with any utility lines in the air. Future impact. A tree planted too close to a driveway or walk can do significant and irreparable damage. When planning, consider what you plan to do in the future (are you thinking of a garage or a parking space in the future? Will you widen the existing drive?). Also stay away from trees that tend to be trashy. Some trees are more prone to dropping branches, producing copious amounts of pollen and unbearably pointy seedpods. Taking the time to choose solid performers for your allee, you will create an elegant and long-term investment for your property. Want the peace of mind of knowing that you made the best choice for your property and the conditions? Contact us for a consultation today!